WHAT: Join the Tunnel Lighting Brigade—light up the Highway 101 pedestrian underpass. WHEN: Saturday, December 16 at 6 p.m.
Help keep the focus on resolving a local problem, as neighbors and concerned citizens light up the tunnel connecting Marin City with Sausalito. Starting at 6 p.m., folks from Marin City (on the west side) and folks from Sausalito (on the east side) will walk single-file through the tunnel—meet along the walkway in passing, and continue through to the other side—then turn around, and return back to the side where they started. Flashlights are welcome (but no open flame); some of the brigade plan to wear reflective clothing and headlamps. The more people that turn out, the brighter the light and the more focus aimed at improving the conditions in the pedestrian walkway. 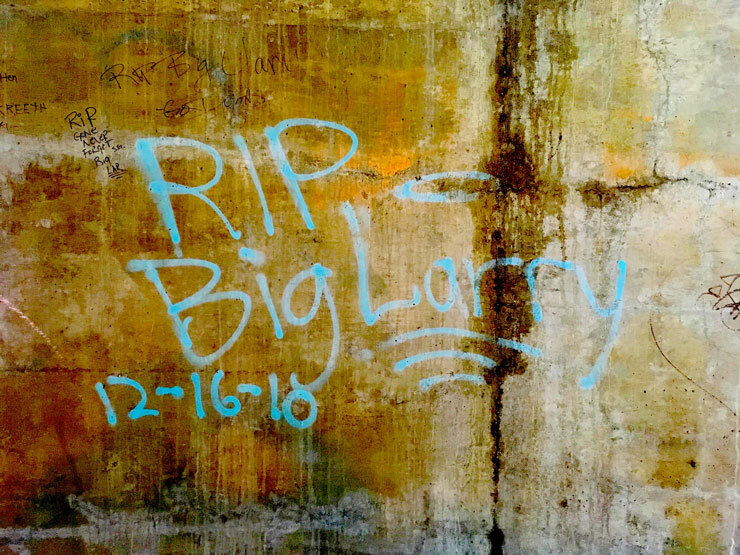 December 16 marks 7 years since 22-year-old Marin City resident Larry Robertson died, as the result of a brutal knife attack that took place in the pedestrian walkway beneath Highway 101 the previous evening. At the time there was public outcry about the lack of adequate light, and, even well before the fatal stabbing it was generally acknowledged that conditions in the underpass were unsafe. The underpass is the connection between Marin City and Sausalito; kids attending Willow Creek Academy in Sausalito cross through daily, as do shoppers and bicyclists moving in both directions. It has been an agonizingly slow process, detailed in this Marin IJ article: Sausalito, Marin City residents agitate for underpass safety lighting and this subsequent editorial: Editorial: Impatience over Sausalito-Marin City safety lighting is understandable. Long story short and thanks to steady pressure from a small band of highly motivated citizens, the permissions and funds to improve lighting in the tunnel appear to be falling into place. The County has had the funding for the tunnel light project for 2 plus years; the hold-up has been all about the permissions. Sonja Hanson—one of the Tunnel Lighting Brigade’s organizers—reports that as of a week ago CalTrans had signed off on the tunnel lighting project and issued the necessary encroachment permit to the County. The project is now fully in the County’s hands. To stay informed of future actions and updates, email Tunnel.lighting.brigade@gmail.com to be added to their mailing list.